Moving in with a significant other is considered a huge step in a relationship. Whether you’re relocating to a new city or moving into an apartment on another side of town, it’s important to communicate before, during, and after the moving process. At Lincoln, our properties offer apartment and community amenities that can make life both effortless and enjoyable. Here are a few tips on hunting for a new apartment with your sweetheart! Be Aware Of Wants & Needs: Before reaching out and arranging a tour of a potential place to call home, have an honest discussion involving important factors such as finances, location, and necessary amenities. Be sure to choose an apartment with an affordable rent for both parties, as well as in a convenient location close to jobs and recreational activities. The most important part of this conversation is being able compromise on the little things, but stay strong on the bigger issues that are crucial for both of you to be comfortable and happy. Discuss Deal Breakers: Have your heart set on eventually adopting a puppy? Are designated parking spaces at the top of your list? If so, be sure to keep these in mind when communicating with your partner. If the community has restrictions that will interfere with current or future plans, it might be better to keep looking until you see a place that checks off everything on your list. Take Inventory Of Your Possessions: When choosing a new space, consider your current possessions as a couple and what amount of space would be needed to fit everything comfortably. 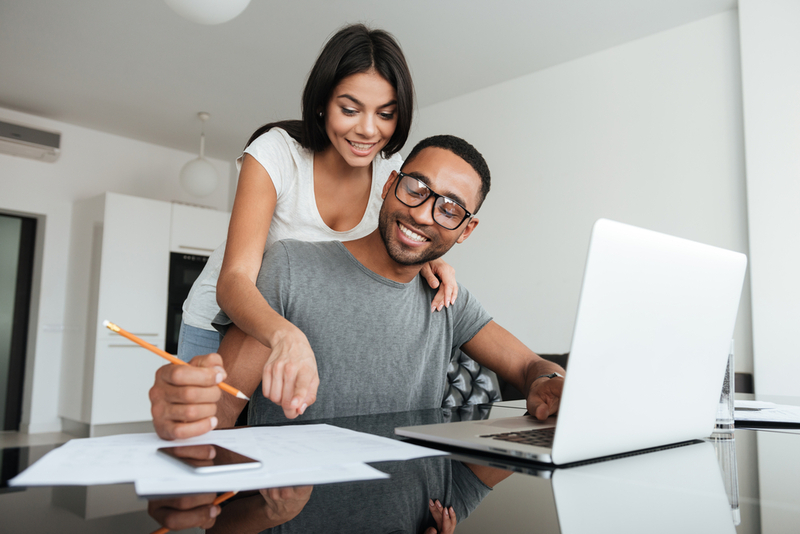 Take some time before to evaluate what you and your partner currently own and decide what will make a cut for the new place. After all, you aren’t likely going to need two full-size couches! If you are unable to downsize, look for a place with ample closet space or a designated storage area to avoid clutter in your common spaces. Plan For The Future: Is it on your bucket list to eventually move to a new city? Does your potential place have just enough room for now? If you are the type that likes to plant roots and stay put for a while, be sure you are looking at apartments that you can grow into, not out of. Look at apartments that have spacious layouts that can be easily redecorated or rearranged, depending on whatever curveball life throws your way. Taking this step with a significant other is an exciting time of conversations, compromises, and celebrations. If you’re interested in learning more about our apartment communities, contact us today!